Restek has expanded its line of LC accessories to bring users even more of what they need to keep their LC flowing. 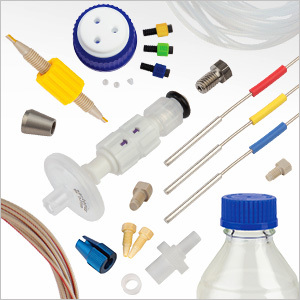 Over 140 new items are now available, including fittings, tubing, mobile phase management and safety supplies. Featured products include: bottle top inlet valves to protect a lab from volatile compounds and a mobile phase from bacterial contamination; outlet valves to regulate pressure during helium sparging; and safety exhaust filters with a colour indicator to clearly show when a changeout is needed. The new range spans: high-quality couplers, fittings, unions, tees and crosses; PEEK and stainless steel tubing; mobile phase maintenance and safety products including bottle tops, valves, filters, and spargers.